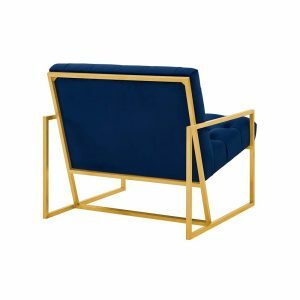 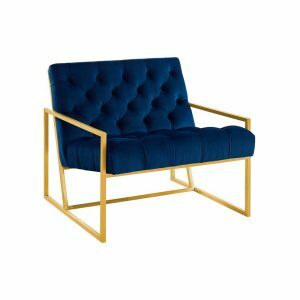 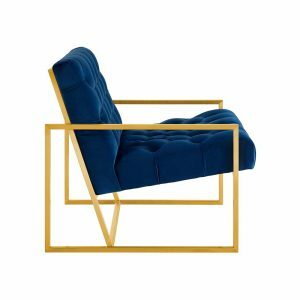 Tags: modern, Gold, Blue, lounge chair, navy blue. 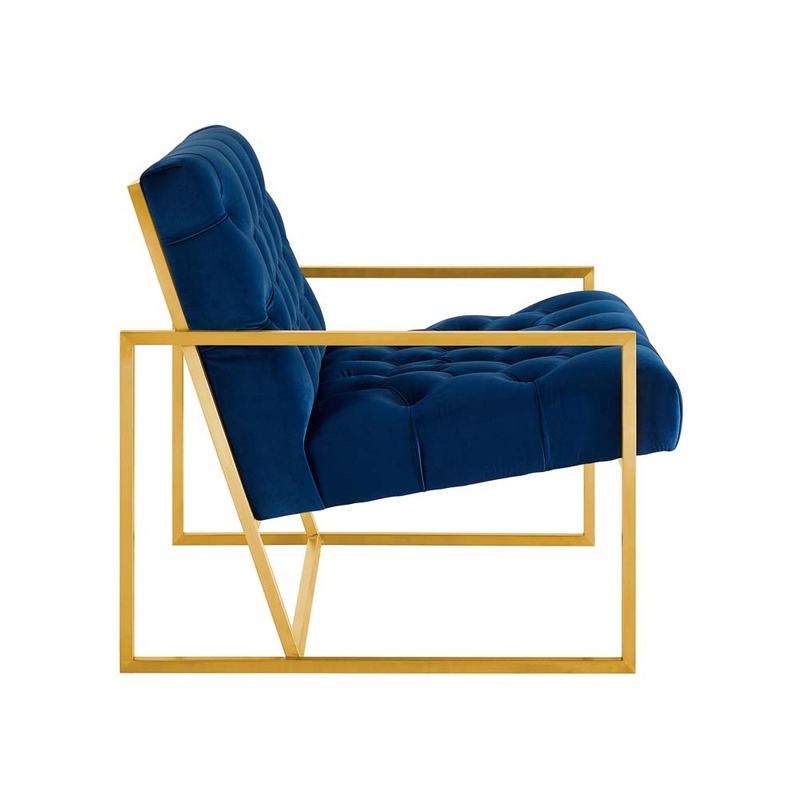 Welcome leisure time with the artfully designed Beatrice Lounge Chair. Boasting a striking gold stainless steel metal frame, upholstered in stain-resistant velvet with deep button tufting with plush dense foam padding, Beatrice elevates home and event decor with its glam aesthetic, sleek profile, cozy comfort, and ergonomic support.